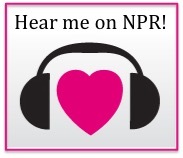 Last week, I received a sweet email from a reader, saying that she was missing my posts and that she hoped everything was okay. And this morning, my Facebook inbox was graced with a photo of an adorable toddler, son to one of my most loyal readers. At the moment, I have a few other projects that are taking precedence over blogging. I’m hard at work on my book, and that is pretty much consuming most of the energy I have for writing. It is harder work than I thought it would be. I’m falling deep into topics that I thought would be much simpler to sort through and translate into readable chapters. It’s really interesting and fun, and I can’t wait to share it with you. I had imagined that I would be able to whip off quick blog posts about my book research, but I haven’t been able to pull it off. But, I promise you, once I get this manuscript in (which admittedly, may be a while), I will get back to blogging regularly. I’m keeping a list of post ideas, which pop up a few times per day while I’m working on the book. I’m also teaching a couple of nutrition classes at my local community college this summer, and we’re working on buying a house (and soon – moving!). And… it’s summer. The Oregon rain has nearly stopped. (Although, for some reason, we signed up for swim lessons starting last week, and we’ve been shivering at the outdoor pool in 60°F, drizzly weather these last few days.) 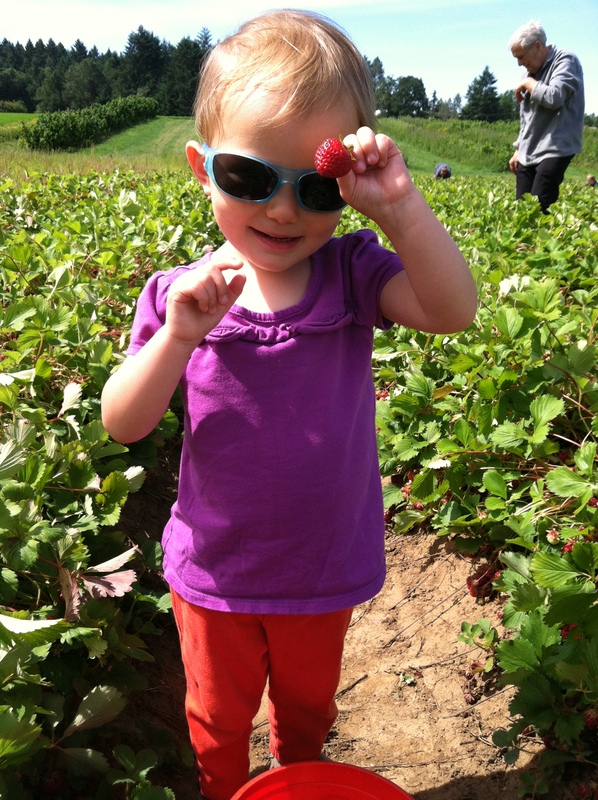 We’re making time for camping, hiking, leisurely walks to the park, and picking strawberries. As a side note, let me just tell you that I’m having lots of fun parenting right now. Cee is two-and-a-half. She’s stubborn and independent, and most of the time, I love it. And oh! She’s so creative, so quickly engrossed in her imaginary worlds. And so focused on building things, stacking things, reading books (some of which she’s learned to recite by heart). 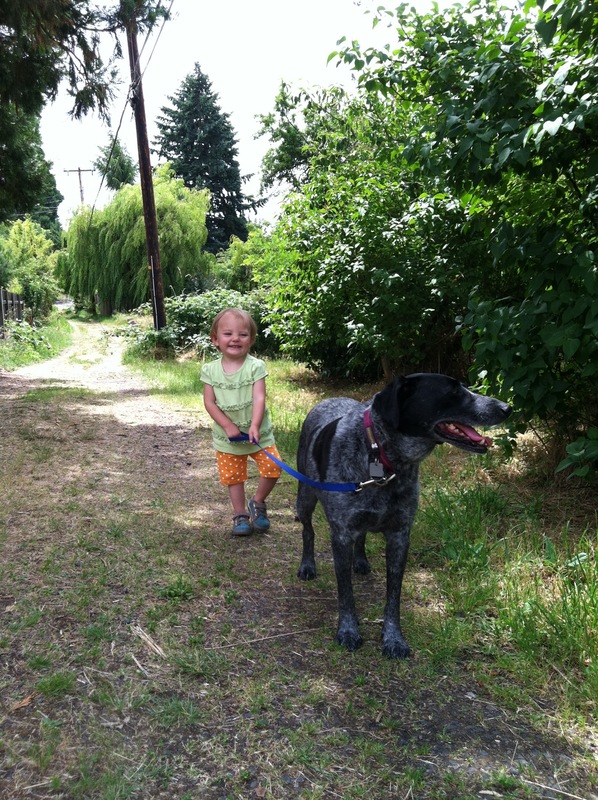 And she’s finding lots of joy in running, climbing, swimming, and enjoying the summer weather. Parenting is hard and never perfect, but it is seriously a joy right now. I hope that you’re finding some joy in your parenting this summer, too. 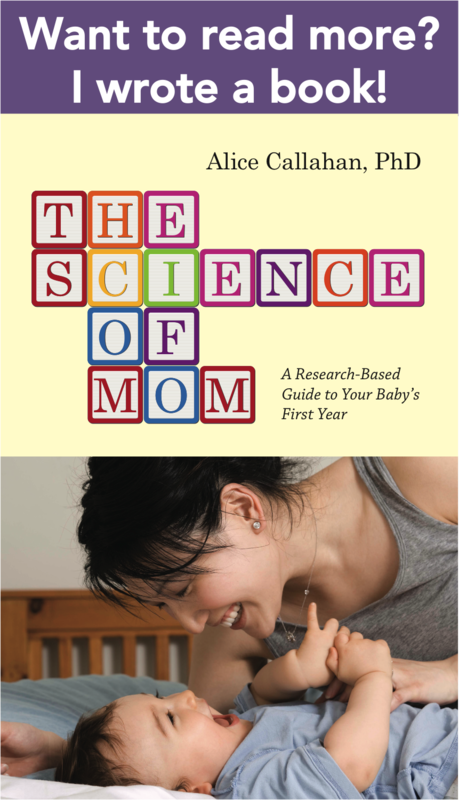 So, this is just a quick note to let you know that – if you haven’t noticed – the Science of Mom blog is experiencing a significant summer slow-down. Even though the blog is quiet, I’m thinking of you as I work on my book. Getting to know many of you through the blog is what inspired me to write this book. It is what convinced me that there is an audience out there for science-based parenting writing. So, as I study the papers and fret over sentences and chapter structure, I picture you reading the final product. All of this is to say that I value you, and I hope you stick around, because I’ll be back. 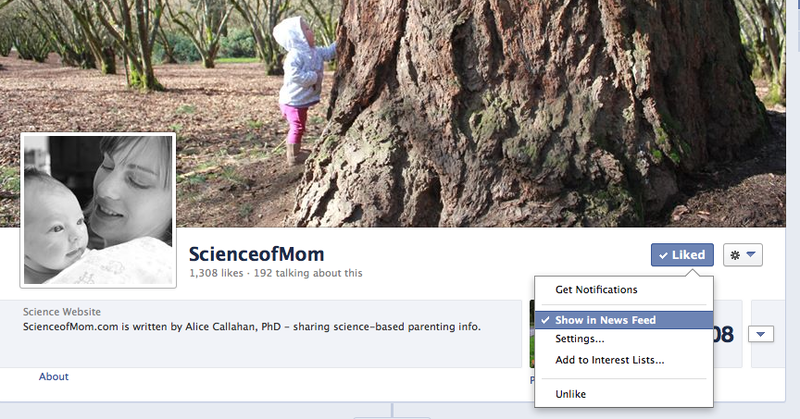 If you aren’t already following Science of Mom on Facebook, I encourage you to “like” my page and select that “show in newsfeed” button to ensure that you see my posts. I log on to Facebook a couple of times per day, and I share interesting parenting science links that I think you’ll find useful. We have some good conversations there, so that’s a great way to stay connected to each other and me. I also post at Carnival of Evidence-Based Parenting occasionally, along with other great bloggers that you would love, so I encourage you to like that page as well. Have a great summer, friends! Please don’t feel guilty! I wrote to you because I honestly hoped everything is ok. I’m glad that you are teaching and writing your book. You are doing very important work along with your mothering! Thanks for the FB connection. Thanks for the update! I’m really enjoying my 2.5 year old too 🙂 I think terrible twos is such a myth; two year olds are so fun. It’s when they turn three that it gets rough 😉 Enjoy your busy summer and see you on Facebook. Nice to see your update and that your summer sounds like so much fun! Wow, teaching, buying a house (congratulations! 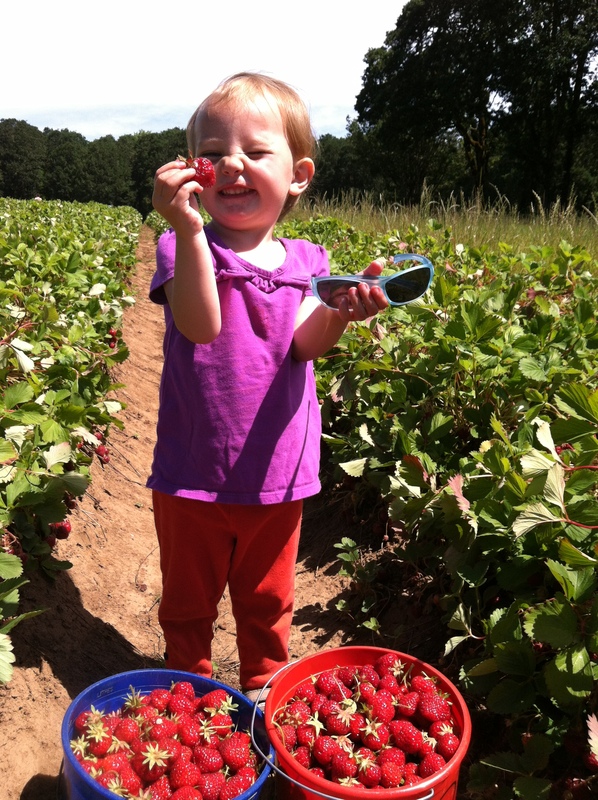 ), and picking strawberries–that’ll keep you busy! Glad you like the notes, too 🙂 I was never much of a summer person until I became a mom. I’m much more of a curl up inside with hot cider and a book person. But I’ve come to love the summer slowdown: letting my son linger over every stick in the park, every flower on the walk home. Plus, the heat knocks him down for some serious snoozes. No need to feel guilty–the blog can wait, the strawberries can’t. I have just found your blog but already I am really looking forward to reading more of what you write!! I look forward to ‘knowing’ you more. It’s nice to know that you are touching peoples lives with your blog posts! We hope to do the same to our viewers are we take the time to get our blog more established! Hope you will check it out and follow our journey. I love these pics of Cee. She has the sweetest smile. 🙂 Can’t wait for your book!